Stock Market DROPS 800 Points as Yield Curve INVERTS! Major Recession Signal Flashing Red! See Also: (The Money GPS) – The Most Important Yield Curve INVERSION Is About To Happen Very Soon! Stocks Dropped 800 Points! 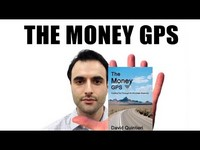 Also: (The Money GPS) – Systemic Risk From Deutsche Bank FAILURE and the Impending Financial Crisis!